When the green flag drops on the 2013 snowmobile racing season, DRIFT Racing will be on the gas and at the front thanks to a growing team of racers and crew. From its high-tech race wear to its ultra-warm jackets and pants, DRIFT gear will help its athletes reach the top in snocross, oval and cross-country with everything from grassroots Junior class riders to multi-World Champions. P.J. Wanderscheid and Wanderscheid Racing – The only five-time Eagle River World’s Champion (and the original DRIFT racer) aims to defend his 2012 TLR Cup title and win the coveted 50th Anniversary World’s Championship. A huge fan favorite everywhere he goes, P.J. and the entire Wanderscheid Racing crew bring the passion and excitement to the highest level whenever they hit the oval track. Christian Bros. Racing –hits the snocross and cross-country circuits with huge talent and proven champions. As the ISOC Snocross Team of the Year, CBR is poised to be on the podium with pro’s Logan Christian and Garth Kaufman; Junior ripper Evan Christian; plus Tyler Adams, who is new-to-CBR-for-2013 and notched a Junior class victory at last year’s Eagle River Snocross event. The CBR cross-country juggernaut will return as the undisputed leaders this season, having captured five Pro 600 class victories (out of six) last season. They are led by two-time defending high point champion Ryan Simons and D.J. Ekre, and will be joined by newcomer Zach Herfindahl, who rose to the top of Semi Pro classes last season. Stud Boy/Goodwin/DOOTalk Racing – New to the DRIFT Racing program this season, the Stud Boy/Goodwin/DOOTalk.com racing team combines leadership in traction and performance with top results in National and Regional snocross competition aboard Ski-Doo snowmobiles. Led by Pro Zach Pattyn and Pro Lite racer Nick Pattyn, the team will also include Brett Nastala, Garrett Goodwin, Jake Pattyn, Justin Sparpana and Caydence Sparpana. Country Corners Racing – A force in the Canadian snocross and cross-country competition, the CCR team will fly DRIFT colors for 2013 with racers Cam Darling, Kristyn Darling, Bob Holmes, Ben Holmes, Todd Lightfoot, Taylar Lightfoot and Jamie McPhail. USXC Race Circuit – As the official outerwear sponsor of United States X-Country, DRIFT Racing will have a strong presence at the new cross-country race circuit founded by snowmobile legend Brian Nelson. Likewise, top Semi-Pro racer Erik Bute will do battle in USXC in his second season aboard the DRIFT Racing program. Oval Racers Alliance – As an organizational sponsor, DRIFT Racing is committed to assisting ORA with its goal of promoting the growth and awareness of ice oval racing in the Midwest through its grassroots events. The riders should be wearing Team Arctic clothing, not Drift. Drift was supposed to take on Castle and others who cater more so to the non-die hard Arctic people. So to have Team Arctic people wear it makes zero sense. That and Drift oil, WTF ? It's marketing. 99% of consumers have no idea who owns DRIFT. There will be plenty of riders wearing the new Team Arctic stuff, although this years stuff is quite different than previous years. who owns drift??? I thought it was just another company like castle, coldwave, ect. My understanding is that it is owned by AC. I appreciate that Drift is trying but whether owned by AC or not drift stuff is ugly IMO! I too wish all the pro guys would go back to wearing factory stuff! Just made them seem even more professional. I agree that facrory drivers should be wearing Team Arctic gear! Yes, Drift is owned by Arctic Cat. So the question is should they really be sponsoring Ski-Poo drivers? These are not factory teams - their obligation is to wear and display the names/identities of their sponsors. 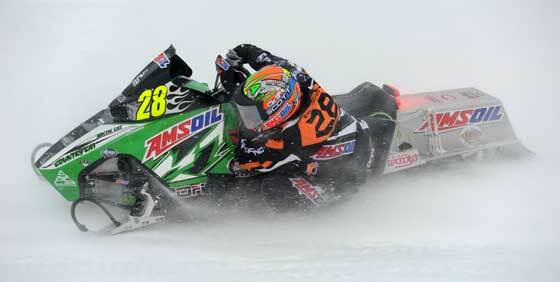 PJ is Arctic Cat's premier oval racer... I remember back in the day when every Cat racer Factory non-factory etc was wearing Team Arctic clothing and the Doo guys wearing Doo stuff and so on. I get it that they have an obligation to wear their sponsors stuff but I just thought when they wore the factory race suits it was was cooler. It is the sign of the times however. My opinion ---after looking at the Duluth pictures, the Team Arctic race clothing won hands down over the Drift ! Nice Job Team Arctic !! Well ...... for the days at the race track when the chips are down and nothing is going right ---at least the racers with Team Arctic racewear still look good ! nuke them . There are so many gorgeous plaecs in the middle east. Dubai is an absolutely beautiful place!! Instead of judging go to these plaecs. Prove yourself wrong. I have been to Dubai and I had the time of my life. It sure beats being around small minded American idiots. Not all Americans are stupid. But? you see quite the example of it in the other comments. And btw I'm an American. And I would pick to be in Dubai anytime.